In loose-passive Pot Limit Omaha games, common at the lower limits, where many players are seeing the flop and the pot is rarely raised preflop, you must avoid situations where you are paying to draw at a hand that will not be the best possible hand, even if you complete it. Making a second-best hand is a case of “be careful what you wish for, you just might get it.” “Getting it” in that case might mean making a good, but second-best, hand that will cost you lots of money. Remember Pot Limit Omaha is often called the game of “the nuts”, since many times it takes “the nuts” (the best possible high or low hand) to win the pot. 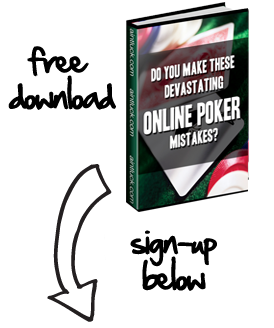 You are sitting in the cutoff seat of a 2/4 pot limit Omaha cash game. Three players call the big blind and it’s to you with the pot at 18, and it’s 4 to call. You pick up 9s - 8s - 7c - 5d. This is a wrap straight draw hand with weak flush draw possibilities that has real potential and is certainly worth a call. It’s probably not worth investing a quarter of your stack preflop, but if you can see a cheap flop, you should. If you are using first level thinking (What do I have? ), you are looking at an eight-out straight draw and a flush draw. You have a total of 15 outs to improve your hand. In Texas Hold’em, that is a monster that you are willing to get it all in the pot with. In Omaha it’s slightly different. Let’s look at those Omaha outs more carefully. First, the flush outs. Seven players saw the flop. The possibilities that at least one of them has two spades in hand (one of them higher than your nine) are astronomical. So really, your chances of actually having the best hand if the flush comes are slim. You should discount your nine flush outs way down to account for that fact. Second, the straight outs. If a queen comes, anybody with AK has your straight crushed. If the K or A comes, someone could (and probably does) have the broadway straight ( Ace high straight: AKQJT), which means you’re left drawing at the flush that may not be good anyway. If the 9 comes, you have the sucker end of the straight, and are dead to KQ or even Q8. An eight gives you the straight, but Q9 would have you beat. What Cards give you “The Nuts”? In fact, there are exactly three cards in the deck that give you the absolute nuts - the 7d, 7h, and 7c. Now your hand doesn’t look so strong, does it? Even if you catch one of your cards on the turn, the river could make a higher straight, a flush, or a full house possible. When several players see the flop in pot limit Omaha, you are in trouble if you are drawing at hands that won’t be the nuts if you make them. Stay away from those situations and you’ll succeed. What hands would a thinking player risk his stack with on that flop? AsKsQ9 would do nicely, or AsKsJJ. Your 9875 is looking for a flop like 76x or 64x rainbow, when you’ll have as many as 17 straight outs, and almost all of them to the nuts. Remember, be careful what you wish for. You just might get it.